We manufacture a gamut of polycarbonate printed label from premium quality polycarbonate and polyester sheets . These labels have excellent thermal and physical properties to suit the varied purpose of application across diverse industries. The sturdy labels can be used on various kinds of machines and is appreciated for the best quality adhesive that makes it apt for a wide application across any kind of surface. If required we possess the required expertise and experience to custom make our range of labels as per the desired purpose. We offer diverse range of Escutcheons Label, which is fabricated with the premium quality polycarbonate and polyester sheets. 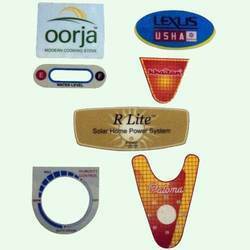 Printed labels being offered by us, can be used for white goods, machines, home appliance like AC, Refrigerator, TV. 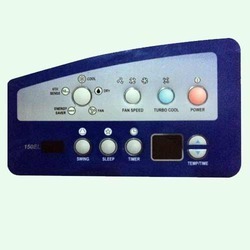 We bring to our clients a wide range of Inlay Label that can be used for remote color TV and many more applications. Designed using advanced technology, these are extensively appreciated by our clients due to their features of excellent graphics, clear text messages and cost effective prices. To meet the varied needs of clients, we also provide our range of inlays in customized designs and shapes. 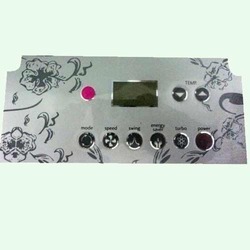 We are involved in manufacturing, and supplying of Home Appliances Label. 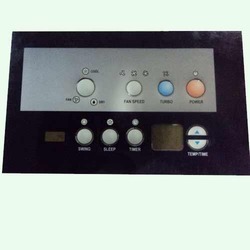 These are made of polycarbonate sheet and widely used as a labels for various domestic appliances like Electric Heater, Mixer, Music System, Television etc. Our range of home appliance labels is designed for depicting the clear and accurate informations about various products. The common contents of a printed label. 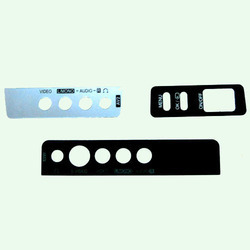 We are a prominent supplier of Polycarbonate Printed Label. Made using the top grade polycarbonate, these stickers have high thermal endurance and tear resistance. We are a prominent supplier of Polycarbonate Printed Labels. Made using the top grade polycarbonate, these stickers have high thermal endurance and tear resistance.